Bridget Foy’s will be open for Easter brunch starting at 9am. We will offer our al carte brunch menu as well as some additions (see below). 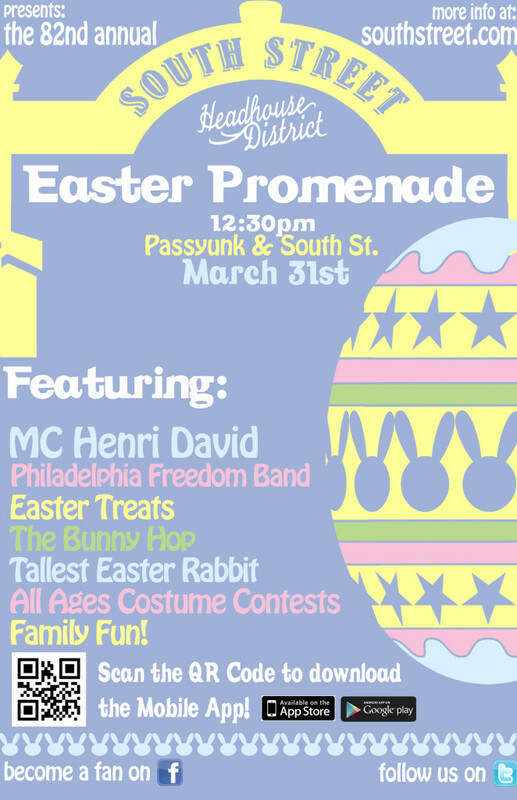 At 1pm is the annual South Street Promenade. 3pm we will begin serving dinner, we will offer our al carte dinner menu as well as a 3 course menu for $30.